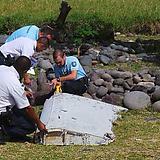 The airline debris found on Reunion Island was discovered on the coast of St. Andrew by trail maintenance workers. 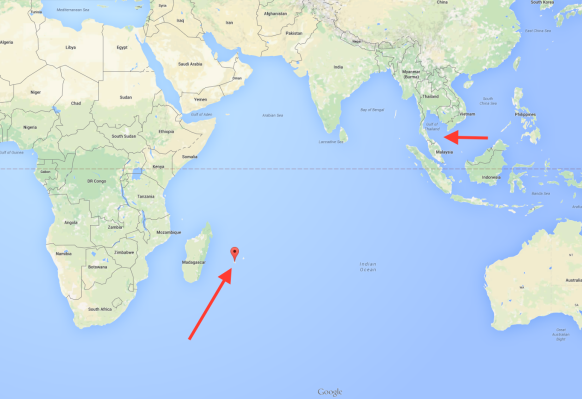 BREAKING NEWS: Possible parts of #MH370 have been located on Reunion Island. Time of Publication: 1:10 pm. French aviation experts will examine an aircraft wing tip – possibly a flap – and other debris found off the coast of Reunion Island in the Indian Ocean, to determine a link to the disappearance of Malaysia Flight 370 two years ago, according to French authorities and local sources on the island, a French department located east of Madagascar. French air transport officials have already opened a probe to look into the origin of the wreckage, AFP reports. Malaysia Airlines flight MH370 disappeared after taking off from Kuala Lumpur, Malaysia, on March 8, 2014, bound for Beijing with 239 people aboard. No trace of the Boeing 777-200ER has been found, despite months of aerial and sea searches over thousands of square miles of ocean in the Pacific. The wing section is about 9 feet long and has an identification number that will show what type of aircraft it is, the local newspaper, Journale de l'ile de la Reunion reports, quoting the transport authority in charge of the investigation. Adjutant Christian Retournat, a member of the French Air Force in Reunion, confirmed the discovery of the debris, CNN reported. "It is way too soon to say whether or not it is MH370. We just found the debris this morning in the coast of Saint Andre," Retournat said Wednesday, CNN reports. The presence of numerous shells on the wing tip indicates that it has been in the water for a long period. No mention of the wing debris at this weekly update...guess it's to soon. Search plans were revised in April to ensure that the area can be searched as quickly and effectively as possible. The Fugro vessels have undergone winterisation to enable continuous search operations over the coming months. The safety of the search crews, as always, remains a priority and vessels and equipment utilised will vary to reflect operational needs. More than 55,000 square kilometres of the seafloor have been searched so far. The extensive barnacles collected on the plane debris may indicate that it had been in the ocean for a significant period of time, according to India Today. 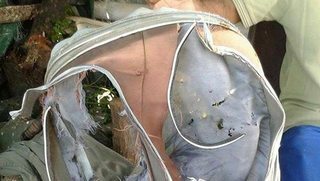 Could it be that MH370 did go down off the coast of Perth, Australia and ... currents carried this piece of wreckage thousands of miles across the Indian Ocean to Reunion Island? Think about debris from the Japan tsunami. It is still washing up on the beaches of the west coast of the United States and Canada. 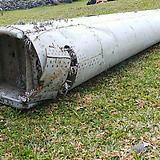 Anyways ... if this wreckage is proven to part of MH370 ... my conspiracy theory encompassing Diego Garcia is negated. Story of my life. Air safety investigators have a “high degree of confidence” that the photo of aircraft debris washed up on a remote Indian Ocean island is from a wing component unique to the Boeing 777, a U.S. official told the Associated Press late Wednesday. The disclosure fueled speculation it could be from Malaysian Air Flight MH370, which vanished in March 2014. 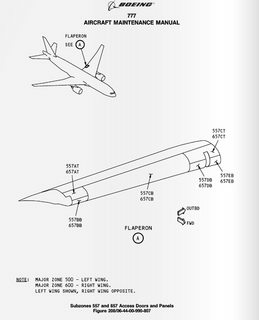 The official told AP investigators — including a Boeing air safety investigator — have identified the component as a "flaperon" from the trailing edge of a 777 wing. JULY 29, 2015, 8:01 P.M. E.D.T. CANBERRA, Australia — The discovery of a piece of aircraft wing on an island in the western Indian Ocean is unlikely to alter the seabed search for a missing Malaysia Airlines jetliner in the southern Indian Ocean, the search leader said Thursday. Air safety investigators are examining aircraft debris found on Reunion Island just off Madagascar to see if it is part of Malaysia Airlines Flight 370 that disappeared on March 8 last year. Australian Transport Safety Bureau Chief Commissioner Martin Dolan, who heads the seabed search, said searchers' drift modelling indicated that debris could have floated to the island from where they believed the missing plane crashed 1,800 kilometers (1,100 miles) southwest of Australia. 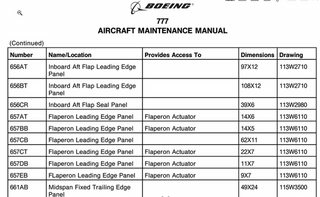 It would seem to me if the serial number on the aircraft piece found on Reunion Island is unique to an aircraft, it should be fairly easy to say whether the piece is or is not from the missing plane from flight MH370. Please let me add after all this time and considering what's at stake, authorities should take their time and make certain of the discoveries. My heart goes out to the families and friends of Flight MH370. They have been through so much for so long. I hope they will have the answers they need. A flaperon—a two metre part of a plane’s wing—has washed up on Réunion island, a French overseas department in the Indian Ocean. Ministers in Malaysia and Australia, which has been leading the search for the plane, intimated that it is likely the part came from the missing Boeing 777. As Reuters reports, “there have been four serious accidents involving 777s in the 20 years since the widebody jet came into service. 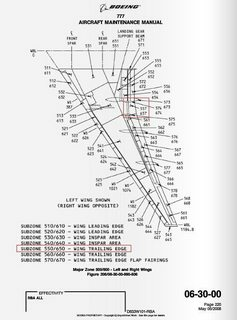 Only MH370 is thought to have crashed south of the equator.” In any case, aeroplane parts have serial numbers that not only match it to a particular aircraft type, but also allow for its service history to be traced. That should be enough to link it to a specific plane, so final confirmation should be swift. Réunion is some 2,500 miles east of where the main focus of the search has been taking place (see map). 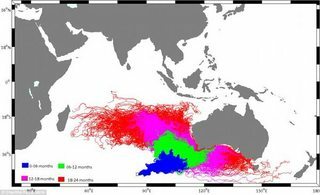 However, strong currents in the Indian Ocean and the length of time since the plane disappeared mean there is every chance that it could have drifted for so many miles. Attempts will be made to reverse-track the journey of the flaperon by looking at historic ocean currents. Still, this is likely to prove a difficult and imprecise exercise. Barnacles attached to the wing-part may also give some rough clues as to where it has drifted from. The piece of wreckage is to be taken to Toulouse in France, where air-accident investigators will examine it more closely. It is possible that they may be able to discern the force with which MH370 hit the water, and thus whether search teams are looking for a plane that is largely intact, or one that broke into pieces on impact. If it is the latter, chances are that the hunt will remain forever fruitless. Even if it is former, given the vast depths of the ocean and the expanse of the search area, the odds of ever finding the plane may not be much better. A suitcase was found by workers on a Reunion beach - close to the site where an aircraft part believed to be from missing flight MH370 was discovered. 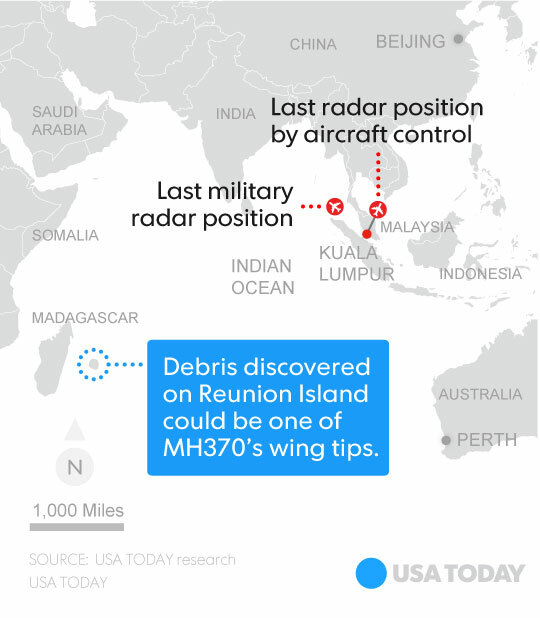 Johnny Begue, the head of a cleaning team, found the aircraft debris that looks increasingly likely to be from the Malaysia Airlines flight that has been missing since March 8, 2014. 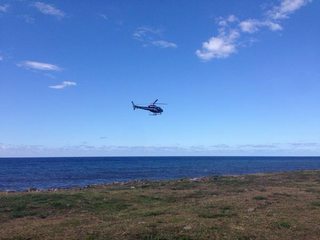 This morning, he again went to the scene and found the remains of a suitcase on wheels, in the same area as the aircraft debris, reports Le Journal de la Reunion. The small rusty suitcase was locked with a padlock. It was taken away by police. An air, land and sea search was launched on an island in the Indian Ocean Thursday after the discovery of an airplane fragment that is being viewed as a "major lead" in the hunt for missing Flight MH370. 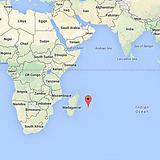 Boats scoured waters about 200 yards off Reunion Island as helicopters flew overhead the French territory, which is east of Madagascar off the southern tip of Africa. The barnacle-covered part was found by a crew cleaning the coastline on Wednesday. Boeing investigators have looked at photos of the fragment and say that they believe it is from one of their 777s, sources told NBC News. It appears to be a piece of a flap from a wing. There is only one such aircraft missing in the world right now — Malaysia Airlines Flight MH370. "This is obviously a very significant development," Australian Deputy Prime Minister Warren Truss told a news conference in Sydney early Thursday. BEA, the French counterpart to the National Transportation Safety Board, said that it could not officially confirm yet that it was from a Boeing 777. However, Malaysia's Prime Minister Najib Razak also said Thursday that the plane debris was "very likely" from a Boeing 777. He said it would be shipped to Toulouse where French authorities would determine whether it came from MH370. "The location is consistent with the drift analysis provided to the Malaysian investigation team, which showed a route from the southern Indian Ocean to Africa," Najib said in a statement. Earlier, Malaysia's deputy transport minister told Reuters it would take about two days to verify if the piece was from MH370. Professor Charitha Pattiaratchi, of the University of Western Australia Oceans Institute, told APTN that finding a piece of the debris on Reunion was "entirely consistent with current patterns in the Southern Indian Ocean to be originated from the area that they're doing the current search for the wreckage." Thanks for the updates Muffy. Off to a family gathering at the home of my brother and sister-in-law. I will check in later tonight. You're welcome, Janet. 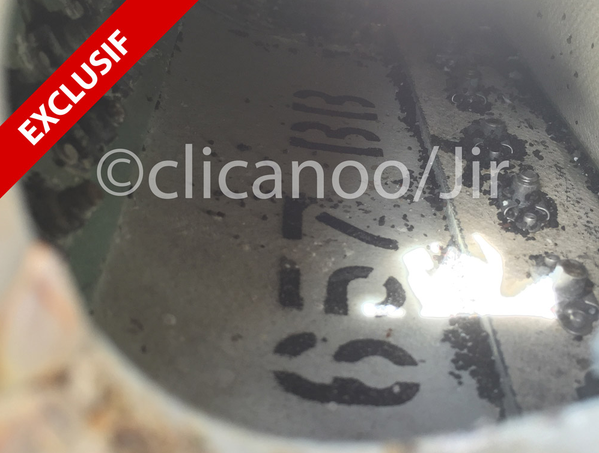 It may be a couple of days before authorities can verify if the piece was from Flight MH370. The head of the Australian Transport Safety Bureau, the agency tasked by Malaysia with leading the search for MH370, said the piece of debris is "not inconsistent" with drift modeling done by Australian authorities. "If there was something from MH370 it could have reached Reunion Island from the area we're covering," said ATSB Chief Commissioner Martin Dolan. "It's not inconsistent with the drift modeling we've done. It's not inconsistent with the search area we're covering." Dolan would not say how likely it was that any debris would move in a westerly direction. "There's a range of possibilities," he said. "It's not an exact science." Dolan said surface currents, wind direction and how high an object was floating in the water might all play a role. It does appear there will at least be a measure of closure for the families of the passengers and crew.